My mom had this cycle on vinyl while I was growing up and listened to it often (especially 5, 6, 7, and 9), so this is the standard by which I judge other performances of Beethoven’s symphonies, and a very high standard it is. 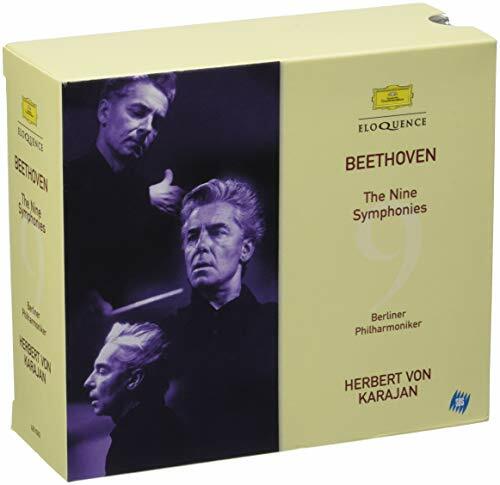 I especially like the performances of the 7th and 9th symphonies. The former sets a particularly good tempo in the Allegretto (possibly my single favorite piece of music ever written, certainly very high on the list), and the latter is just all-around outstanding (don’t listen only to the final movement either – the whole thing is brilliant). I have been meaning to explore other Beethoven cycles in a more systematic way to determine if there are any individual performances that I prefer, but for overall excellence, this set is hard to beat.